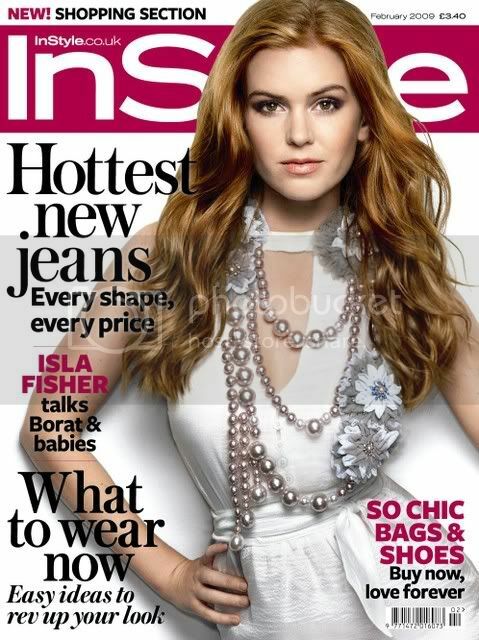 Isla Fisher graces the cover of UK In Style Magazine. The photographs were taken by Mark Abrahams and the Syling was done by Fiona Rubie. Isla has had a scene-stealing turn in Wedding Crashers, the lead role in Confessions of a Shopaholic and a baby with Borat… she has come a long, long way from an Aussie soap star.